Two things in particular jump out at me here. First, the range of attire, which spanned everything from dinner jackets to bermuda shorts. 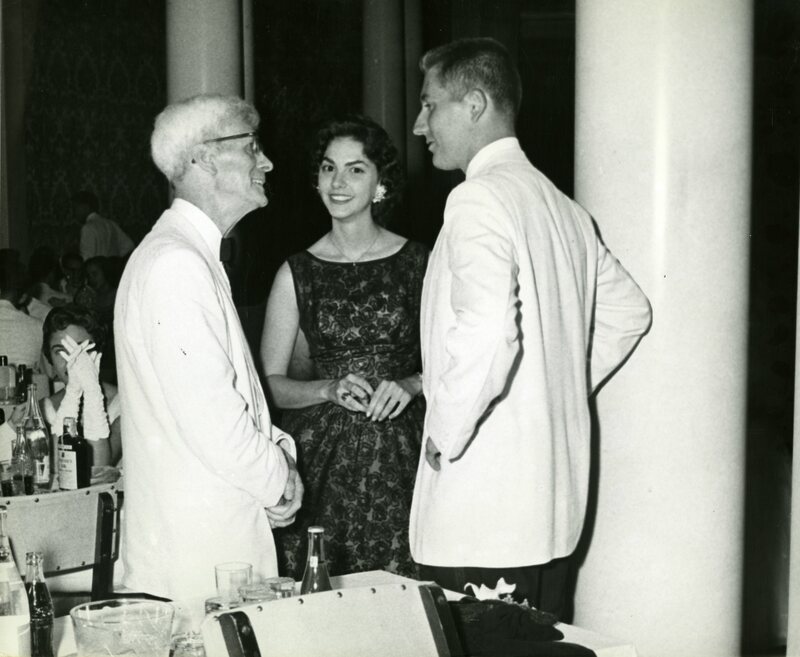 But second and even more interesting is the fact that Rice faculty members Joseph Davies and Bud Rohrshach were there chaperoning this event. They don’t seem to have been especially good at it. The two articles on the editorial page (page 2), also make for interesting reading. It would seem one lapse of judgement was holding an underage party next door to the police station. I am interested in the Bonus Pictures. Are those some species of tiny house? I’m not sure. They are associated with the ongoing construction of the new Moody Center building over by Reckling. Three solar-powered Mobile Grid juiceBOX containers were delivered Oct. 2 to a patch of land between Tudor Fieldhouse and the Moody Center for the Arts construction site, where they will be configured to host a part of Houston’s biennial FotoFest, organized by Rice’s Center for Energy and Environmental Research in the Human Sciences (CENHS). 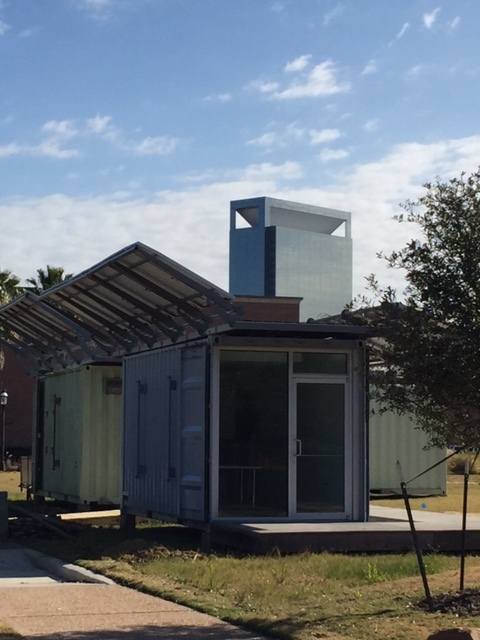 The containers were donated to the university by MetaLab principal and Rice School of Architecture alumnus Joe Meppelink ’00 and the president of Mobile Grid, Joey Romano. They will be home to a pair of environment-themed art exhibitions for six weeks beginning in mid-March. The exhibitions will feature the debut of works commissioned by CENHS: Judy Natal’s “Another Storm is Coming” and Marina Zurkow’s “Dear Climate.” Architecture and engineering students of the Rice Building Workshop are working in collaboration with the artists to design and prepare the venue for its opening. “the Flush” (which I think was held at the Plumber’s Union Hall) was my very first Rice beer party a couple of weeks into my freshman year. I double-dated with Jim Wilkerson. We were sitting in the back corner of the room with Joe Eddie Williams and some other track guys. When the raid started, someone over 21 ( I think it was Fred Hansen or Ed Red; Joe Eddie doesn’t remember) had us pour our beers back into the pitcher and set it down in front of him. We then filled our beer cups from the Coke pitcher. I was thus saved from being jailed my second week at Rice. Only the sophomores would throw a beer party in a second story hall with only one entrance– and across the street from the Police Substation.